A ganglion cyst is a noncancerous lump that forms on the wrist, hand, ankle, or foot that is filled with fluid. While some cysts do not require any treatment at all, others may need to be removed surgically. A ganglion cyst is a noncancerous lump that forms on the wrist, hand, ankle, or foot that is filled with fluid. They can be painful if the cyst grows large enough to press onto a nerve and depending on the exact location and size of the cyst, they can restrict the movement at the joint. While some cysts do not require any treatment at all, others may need to be removed surgically. Unfortunately, no matter what treatment is used, the cysts can reoccur. Are there non-surgical treatments for ganglion cyst? What is ganglion cyst surgery? 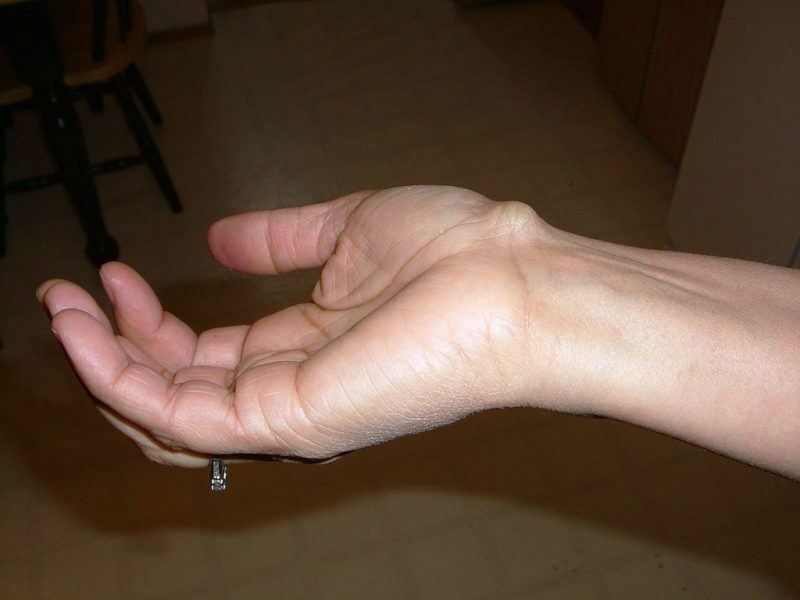 The most common symptoms associated with the ganglion cyst vary with the cyst’s shape and size. They are of a round or oval shape and are usually less than 2.5 centimeters in diameter. Sometimes they are too small to be felt, but they generally grow in size as the joint is used in repetitive motions. While some are entirely painless, other can cause pain, numbness, or tingling. Aspiration: The process of draining the cyst is called aspiration. The procedure entails the doctor lancing the cyst with a needle and draining the fluid from within. However, this process does not remove the actual cyst, and it can grow back again, but if the cyst is pressing on a nerve and causing pain, draining it should relieve it. Brace: If the cyst is at the wrist or on the hand, the doctor may suggest wearing a wrist brace to limit the movement of the hand and wrist. Stopping the majority of the movement at the joint will allow the cyst to shrink on its own. If all other methods fail or the ganglion cyst keeps reoccurring, your doctor may wish to proceed with the surgical removal of the cyst. This surgery is performed by a hand surgeon. It is an outpatient procedure that is usually performed under general anesthesia and does not take very long to complete. The surgeon will cut open the skin, remove the cyst and its capsule, and stitch the skin closed again. Removing the cyst can be beneficial for many reasons especially if you are experiencing pain and are unable to do the daily activities you enjoy. However, removing the cyst does not completely eliminate the chance that another will grow in the future. The risks of removing the cyst surgically are minimal and include common factors like infection, bleeding, and allergic reaction to anesthesia. There is a risk of scarring or losing normal function in the wrist or ankle, but those are not common outcomes. If you have developed a ganglion cyst, we can help. The doctors at Michigan Surgery Specialists can help you decide on the best course of action. We have some of the most experienced surgeons in the region. Contact us now.